It’s time to buy your Father’s Day gift! Can we all agree that finding the perfect gift for men is just hard? You may think he needs a blue tie with red dots to add to his collection of blue ties with yellow dots, but trust me…he doesn’t. 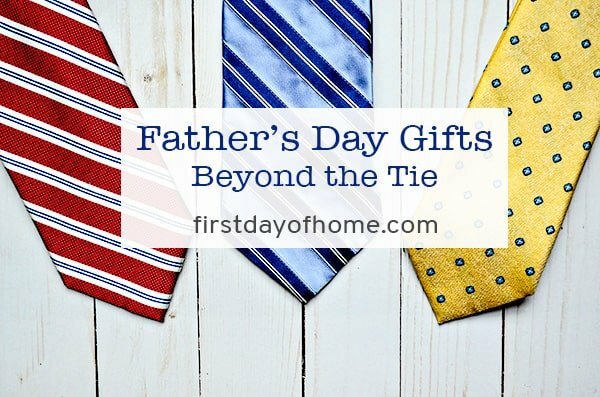 I’ve done you a solid by gathering my picks for Father’s Day gifts beyond the tie. This is one kitchen gadget that I adore because…my husband loves to use it. He looks for excuses to use it, so who am I to hold him back? The Joule is a sous vide (“soo veed”) method of cooking. You place raw food within a plastic pouch or glass jar and then submerge it in water at a regulated temperature for a longer-than-usual cooking time. Let me give you an example. My husband takes a tenderloin, seasons it in a bag with his secret herbs and spices, places the sealed bag into a pot of water pre-heated by the Joule, and then sets the timer. The best part? The Joule comes with an app that controls the device, suggests the proper temperature/time, and alerts you when the food is ready. Wait. It gets better. You can even tell Alexa to control the Joule for you. Lazy cooking, people! We finish our steaks with a quick searing on the grill, and we’re ready to eat. It’s like a power tool for the kitchen, and you’ll never eat a steak so juicy and consistently cooked. It’s the perfect gift for any father in your life. 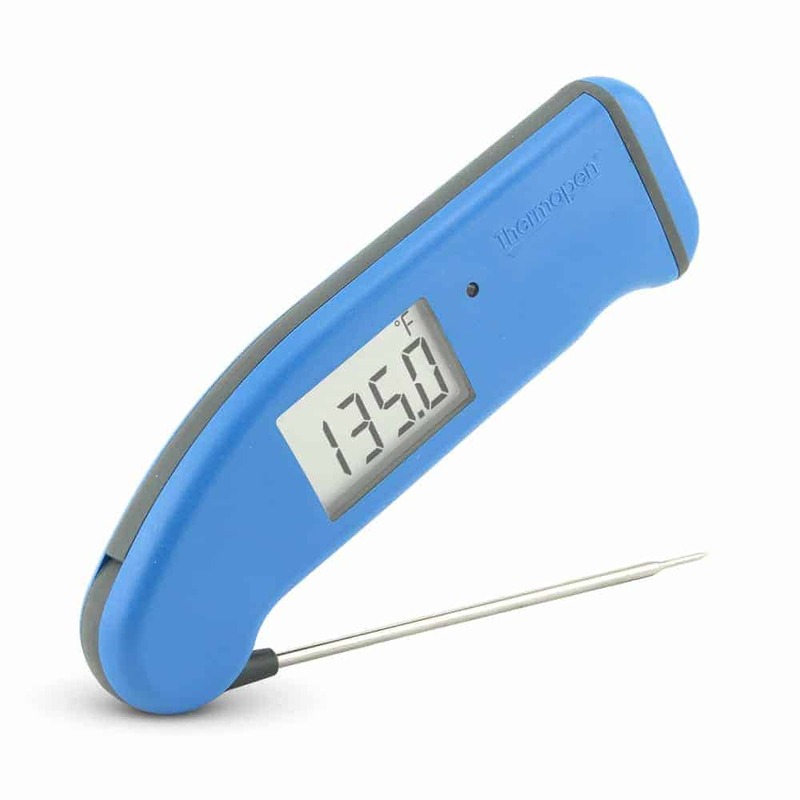 If your husband has ever undercooked or (worse yet) overcooked food on the grill, he needs a Thermapen Mk4. I gave this food thermometer to my husband as a gift a few years ago. It displays the internal temperature of our food within 2-3 seconds! Other thermometers we had purchased from high-end culinary stores paled in comparison. The Thermapen is hand-made in England and works on any food that needs to be cooked or chilled…beef, poultry, fish, deep-fried foods, baked goods, candy…you get the picture. No more guessing when the turkey is done! My husband gets credit for this Father’s Day gift pick. The Grillaholics Stuffed Burger Press was on his wish list last year, and I can attest to the deliciousness that comes from this gizmo. I dig the entire line of Grillaholics products on Amazon, so you can’t go wrong bundling this burger press with other grilling items like the heavy-duty BBQ grill mats or the vegetable grill basket. In preparation for summertime, give your man a platter worthy of displaying his grilling achievements. 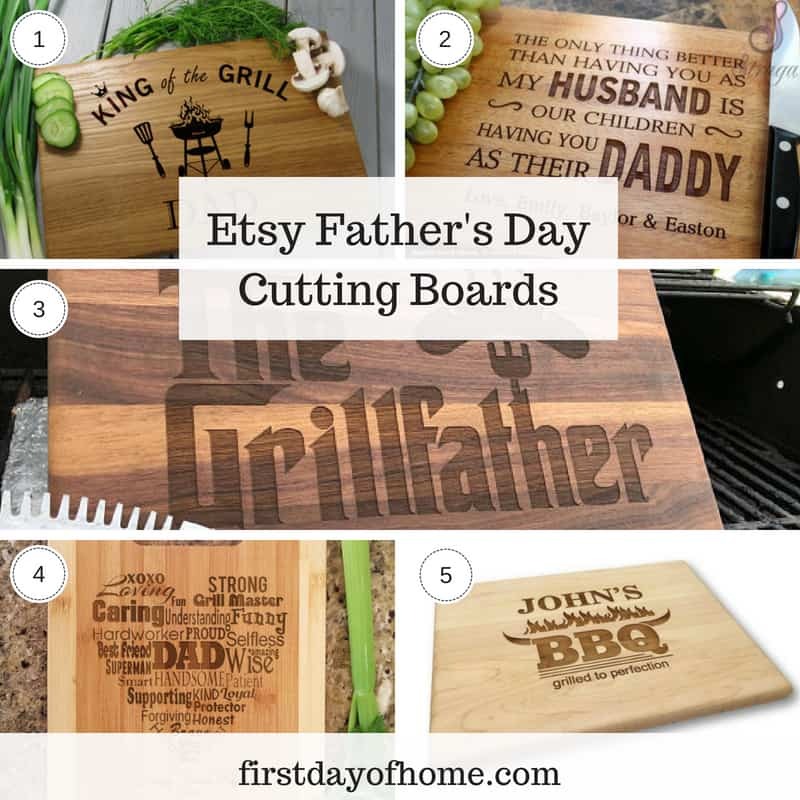 Etsy sells many options for personalized cutting boards. We use ours for everything from appetizers to grilled meats. See my Etsy faves below to order a gift for your man of honor. Okay, it might be a stretch to call this a “foodie” gift for men, but to me, the Yeti Beer Colster puts a black tie on a beer can. Tell me you don’t have a mixed collection of koozies from music festivals, college parties and random swag bags. Help him look a little more grown up and a little less frat boy by putting a colster in his hand. Craftsy has changed my life by making a variety of hobbies more accessible. I’ve taken courses on everything from Cameo vinyl projects to floral design. For the foodie father, how about a gift subscription to a cooking class? There are over 100 cooking classes to choose from, and most are $15-30. Craftsy currently offers an unlimited subscription, now called Bluprint, or you can choose classes à la carte. Here are a few courses I’d recommend as a gift for the chef (or wannabe chef) in your life: Fire up the Fish, Make the Right Cuts and 25 Essential Grilling Techniques. Packing cubes make the perfect gift for the road warrior or anyone who plans to do some summer traveling. These help to maximize and organize the space in any travel bag. With compression technology, these packing cubes allow you to fit up to 30% more in your suitcase or backpack. Based on over 430 reviews, with 80% five-star ratings, this gift is sure to please any traveling dad. These days, my husband and I listen to books as much as we read them. Audible offers one credit per month for any audiobook, which you can then keep forever or exchange for free. Subscribers also receive 30% off additional audiobooks. If your household has a hard time containing the clutter like ours does, this is a perfect gift that expands a library without adding bookshelves. Every vacation of ours brings up the same dilemma: to take the “good” camera or not. For the father who loves to take photos but doesn’t like to lug around the fancy DSLR, this phone camera lens kit makes for a great gift. The kit is compatible with iPhone, Android, Samsung and other smart phones. Each of the nine lenses has a special purpose, like wide landscapes, close-ups, macro and distance shooting. Over the past few years, our household’s demand for print magazines has dwindled. I’ve kept a few subscriptions for the articles or pretty pictures, and my husband has kept Outside magazine. The photos in his magazine are “pretty” too, but in a manly sense. My hubby often has a “Check this out!” moment, pointing to a death-defying adventure captured by Outside’s photojournalists. Amazon also offers a Kindle version for those who want to avoid accumulating paper. 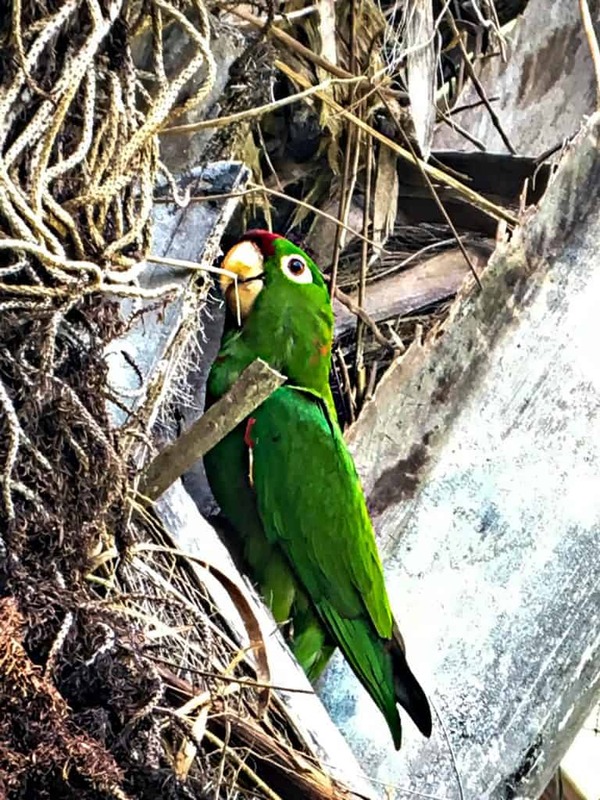 On our recent vacation to Costa Rica, we took the most incredible photos of wildlife using our guide’s spotting scope and a mobile phone. If you’re seeking a Father’s Day gift for an outdoorsman, bird-watcher or hunter, consider a spotting scope. 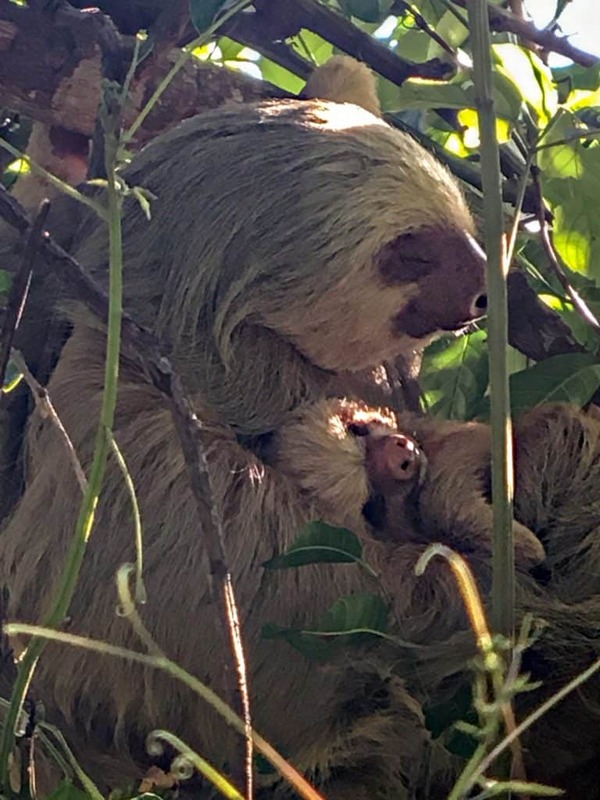 To give you a sense of the image quality, I’m sharing our favorite “Animal Planet” photos from our Costa Rican adventure. 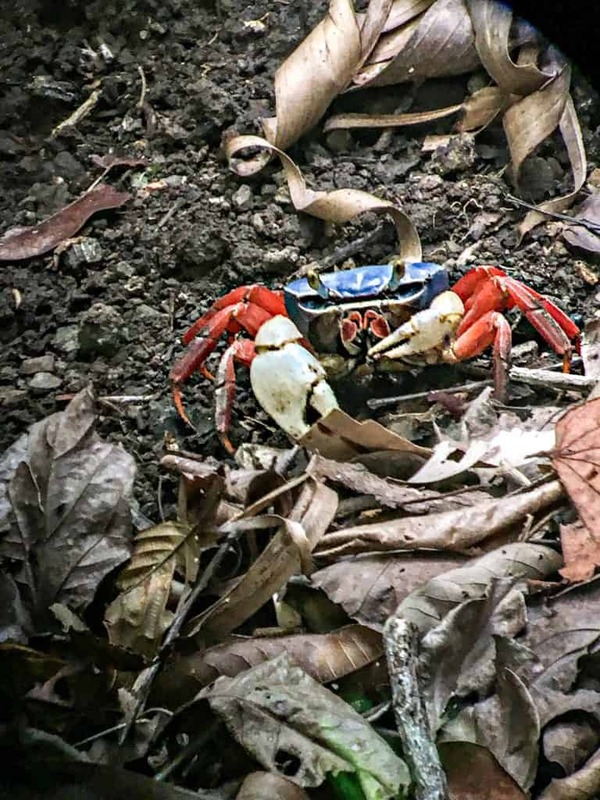 We spotted these animals from very far away, so getting these keepsake snapshots on our iPhones made our day! My husband and pre-school boys all own individual headlamps. If you know of a father who does NOT own one of these, trust me when I say he will love receiving one. Have you ever found yourself holding a flashlight while your hubby troubleshoots something behind the washer, fridge, A/C, etc.? You will love this contraption, too. Woodworking is the new man-cave activity of choice. However, buying tools for a woodworker may prove daunting unless you’re intimately familiar with the hobby. Here are a few woodworking books that cater to various skill levels, so you can give the gift of knowledge. I recommend (via my husband) The Complete Manual of Woodworking for beginner woodworkers. 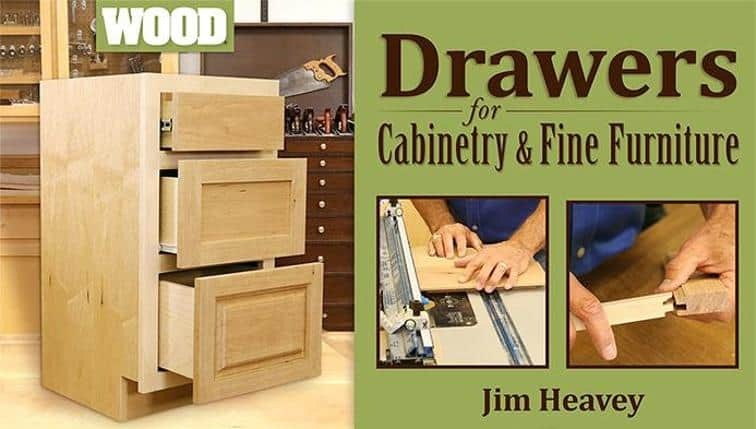 It covers fundamentals of woodworking to get started with the hobby. To give you a sense of what my husband has learned in just a few years of woodworking, see our post called How to Build a DIY Farmhouse Headboard. 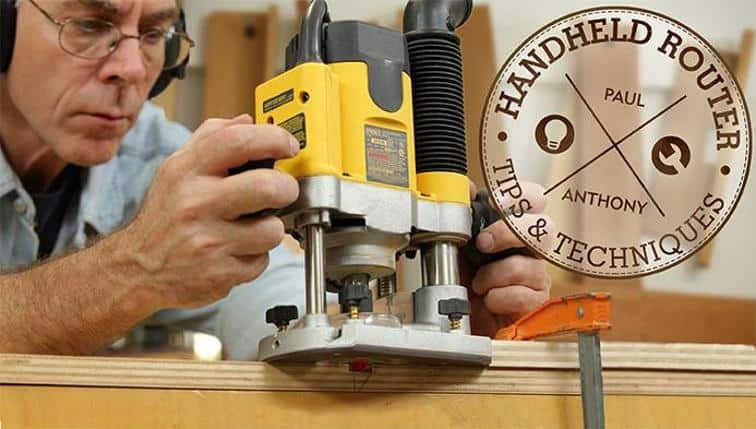 This past Christmas, I bought two online woodworking classes as a gift to my husband: Handheld Router Tips & Techniques and Drawers for Cabinetry & Fine Furniture. Each course covered many useful tips that have already inspired some “honey do” projects around the house. Etsy never fails to supply unique gifts for any type of hobbyist. 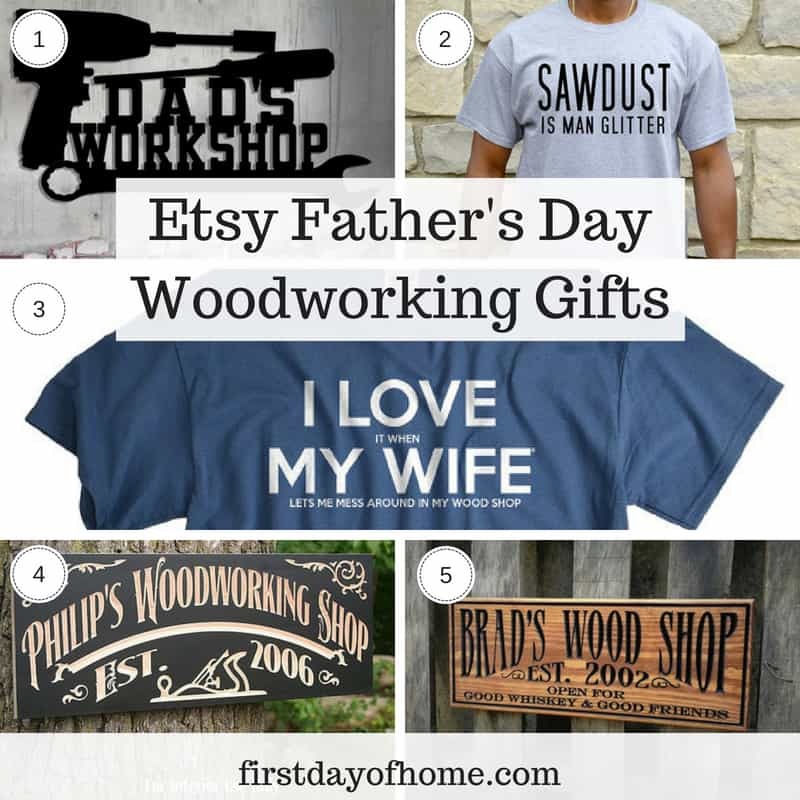 I’ve collected my absolute favorites for the woodworking dad below. Lastly, I love this heavy-duty shop apron from Amazon. 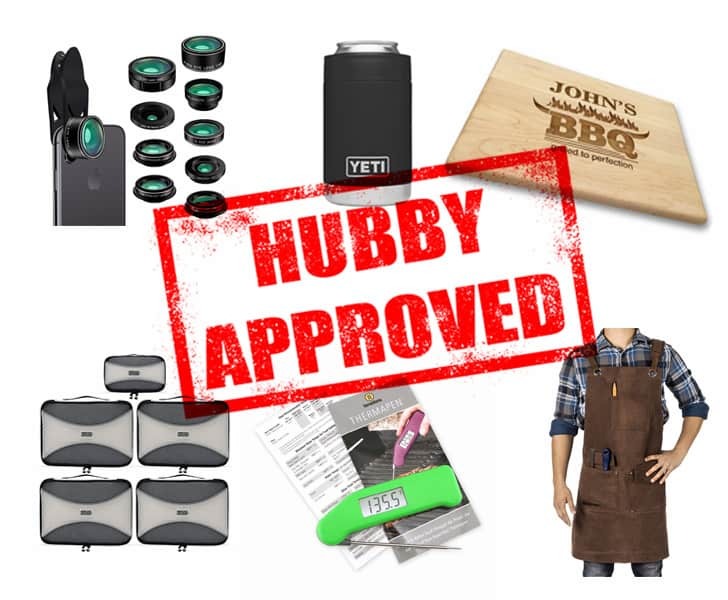 Even if your husband doesn’t know his way around a workshop yet, he can certainly look the part with this gear. What are your plans to celebrate Father’s Day? Please comment below, and feel free to pin, share or follow! Big, big fan of the Thermapen! This is one of those gifts where you just don’t realize how much it can help you until you have one! If you like to grill, this is a must have and the brand to go with. I completely agree! We use ours all the time.